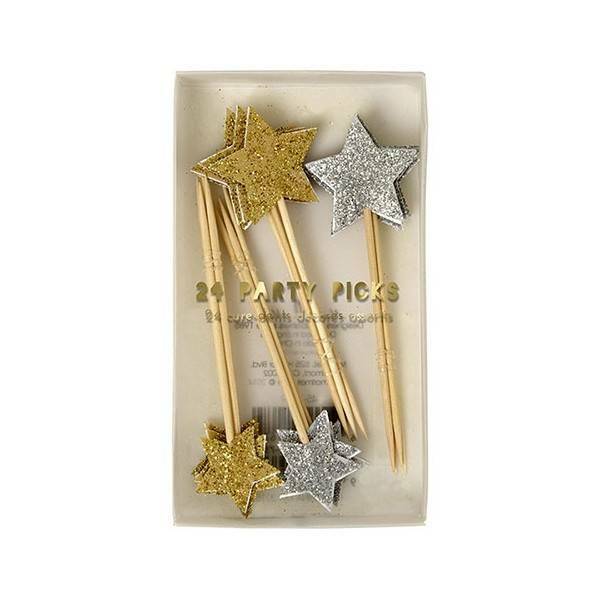 These shimmering party picks will light up your celebration. They are decorated with silver and gold stars coated with sparkling glitter. Pack contains: 24 party picks in 2 styles. Pack size: 12,5 x 7,5 x 1 cm.